I love flowers! Like chocolates and strawberries, flowers bring out the little girl in me. The above are distant dreams which will require our passports getting stamped – that needs some planning and lot of money! 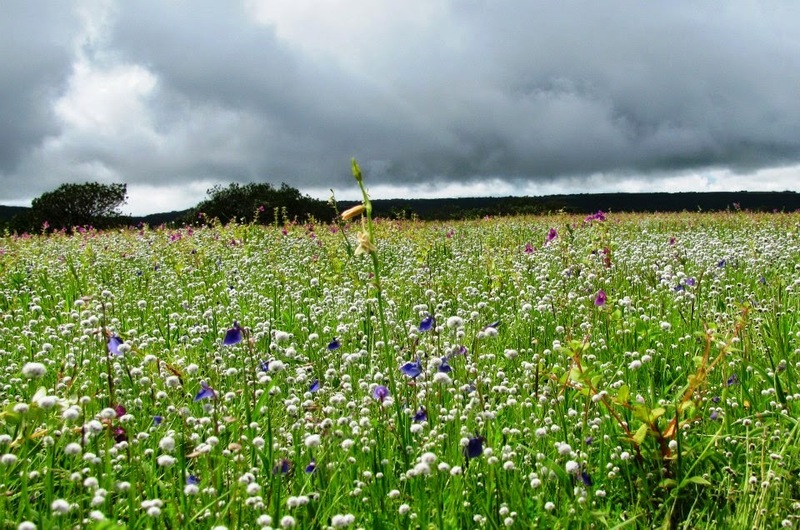 But there was an option a few hours away, that would let me run thorough wild flowers, walk in the mist and dance while it rained, without burning a hole in our pocket: Kas, the plateau of flowers. There are places that you can travel to any time of the year – the seasons transform the place and present a different appeal in every month. And then, there are places that are best visited during a couple of months. Kas is one such place. 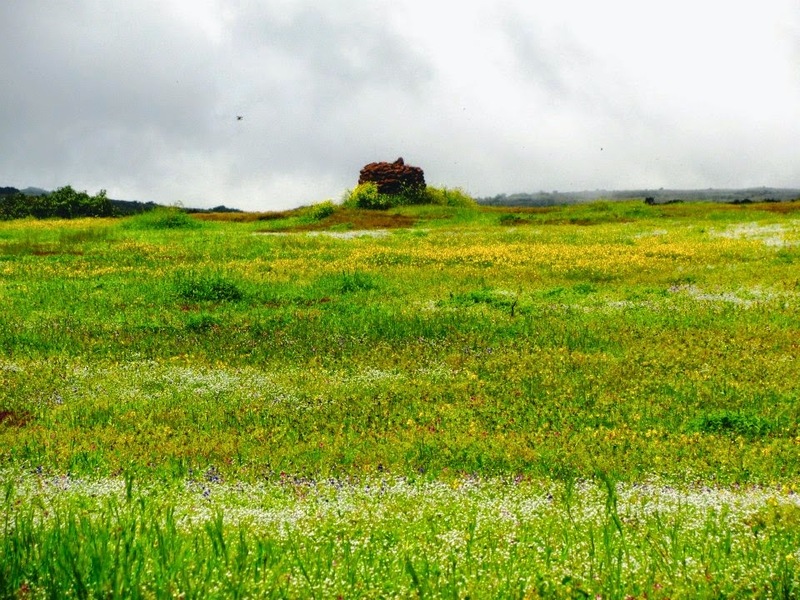 This plateau offers a time frame of two to three weeks only to witness carpets of flowers laid out on lush green grass. The best time to visit Kas is within 10 days after monsoons start retreating. Typically, this from the second week of September onwards. In 2011, we went to Kas in mid-October – it was a little late. Last year, we went on the last weekend of September – it was perfect. 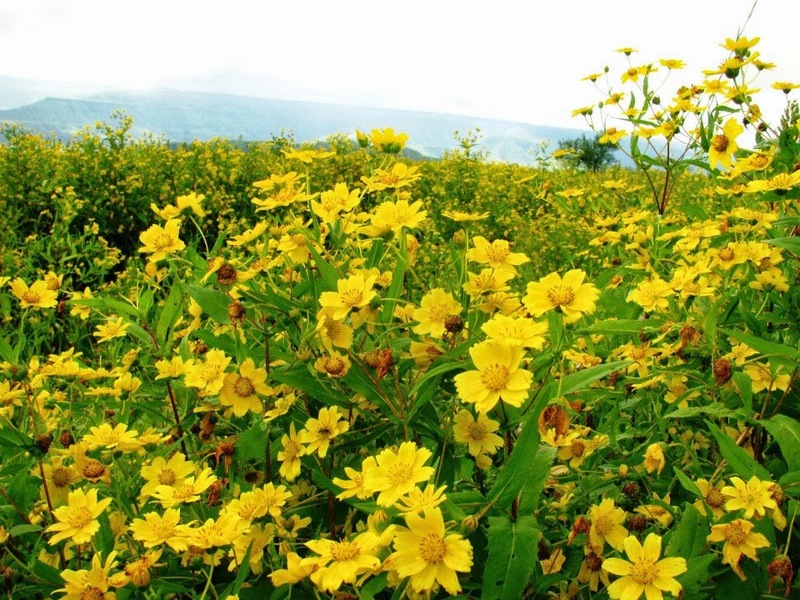 The plateau was covered with yellow, white and pink flowers. 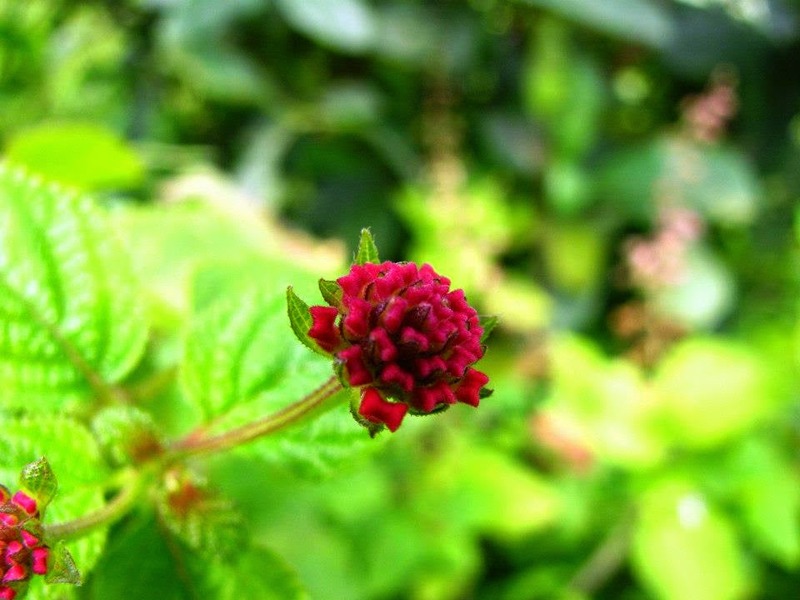 The flowers bloom over 2 – 3 weeks. If you visit in first week of bloom, the colours that you will see will be different from those that you will see in the last week of bloom. Nature never paints the same scenery twice! 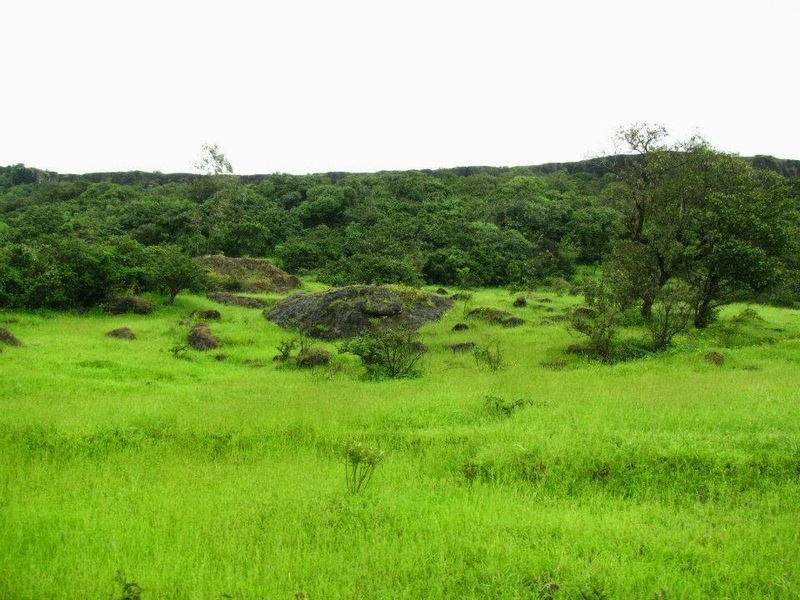 The Kas plateau is part of the Western Ghats (Sahyadris) in Maharashtra. 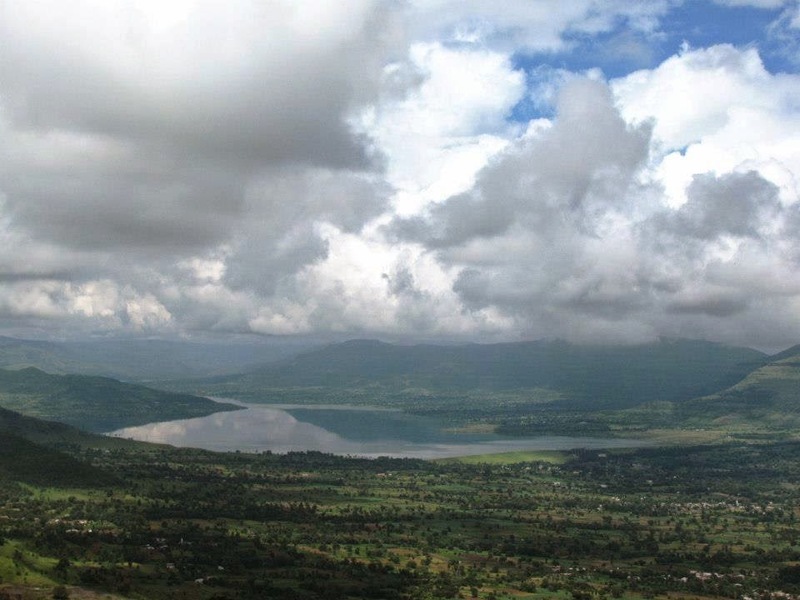 The plateau is ~25 km from the buzzing town of Satara. It is ~6 hour drive from Mumbai or a 3.5 hour drive from Pune. The roads aren’t too broad and you won’t be able to get an average speed of more than 65 kmph. Overtaking along most stretches, through the twists and turns of the hilly area, is not a brilliant idea. We reached Pune on Friday night and left for Satara at about 7 am on Saturday morning. We took a short break for breakfast and tea and were in Kas by 11 am. 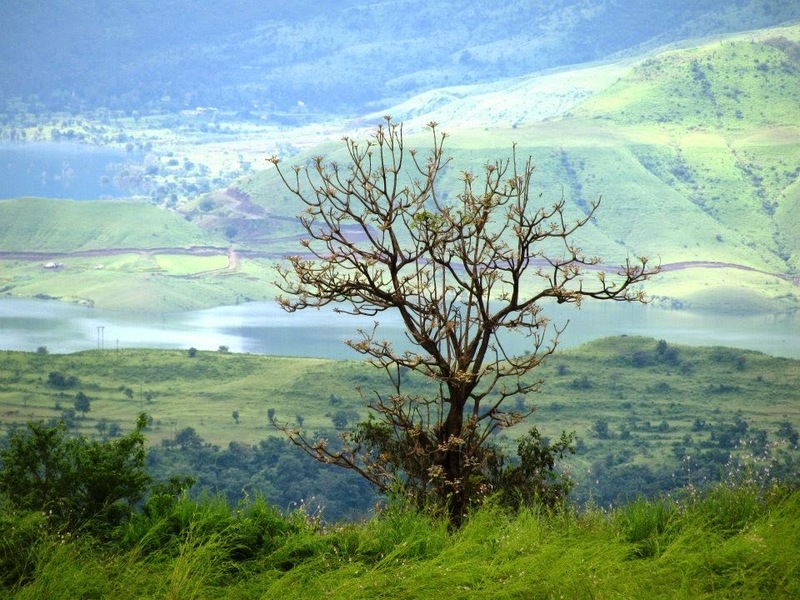 Driving through the Western Ghats in monsoons is a visual delight – verdant and fresh. Every leaf is clean, the misty moist air makes you feel as though you are walking through clouds and the little waterfalls at every nook and corner make you want to stop your car and have a splash in the water. We would want to revisit Kas not only for the flowers, but for the picturesque drive as well. 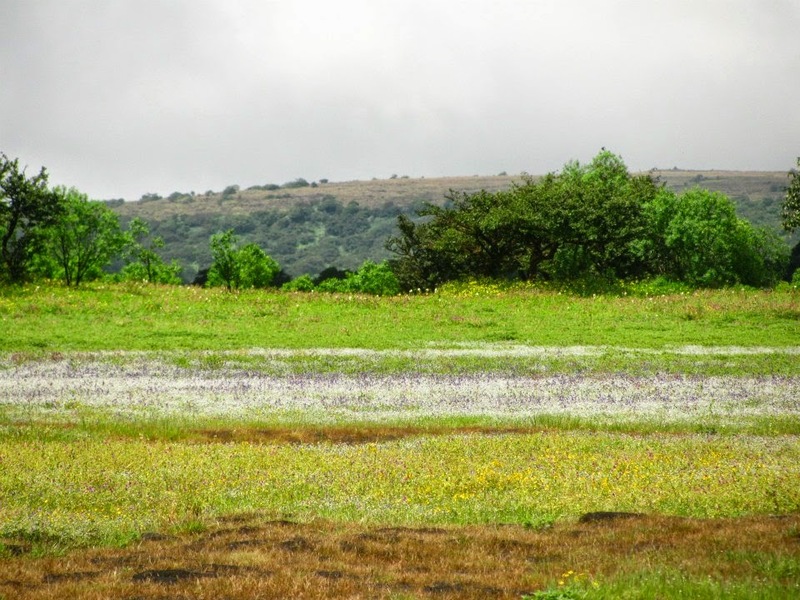 The wild flowers make their appearance en route from Pune to Satara – tall cosmos plants waving their bright orange flowers. 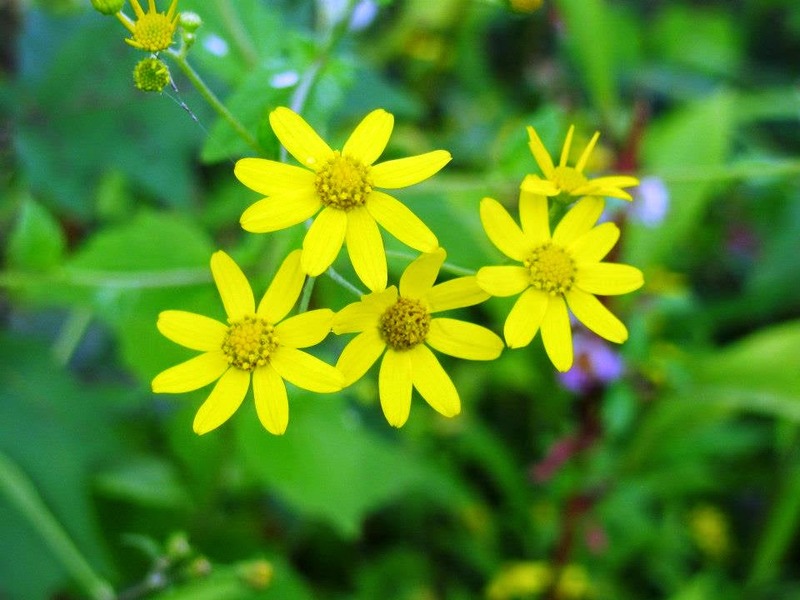 While going uphill from Satara to Kas, the sights get prettier with yellow flowers all around. We thought that was our final destination, until a local told us to drive 5 km further. The drive was beautiful. We rolled down our windows and heard the birds chirp – a joy that inhabitants of Mumbai rarely experience. We passed the lake created by the Kanher dam, reflecting the colour of the clouds – white and grey – what a great view! The road leading to the table top is narrow, but with sights that soothe the eyes, who wants to rush in life? We reached the table top in about 40 minutes (from Satara) and parked our car in the designated area. It was time to explore! We walked around from the carpet of pink flowers to the carpet of white flowers and then to the carpet of purple flowers. It was dream like! After walking on the table top for over 3 hours, we were starved. We knew that there were no eating joints in Kas and that we would have to hold our ‘hunger horses’ for another 30 minutes until we reached Satara. We reached Satara at about 3 pm and the restaurants, which looked clean from the outside, were all closed as lunch time was over! No food for us starving souls! We drove around the main market in Satara but could not not find any restaurant open that was willing to serve a complete meal. We finally settled for a pack of chips and some soda. If you are planning a day trip, suggest carrying your own picnic lunch. If not, make sure that you reach Satara for lunch latest by 2 pm. Anytime later than that will leave your growling bellies in distress. The flowers bloom after the monsoon ends. The time varies every year, depending on how the rains have been. 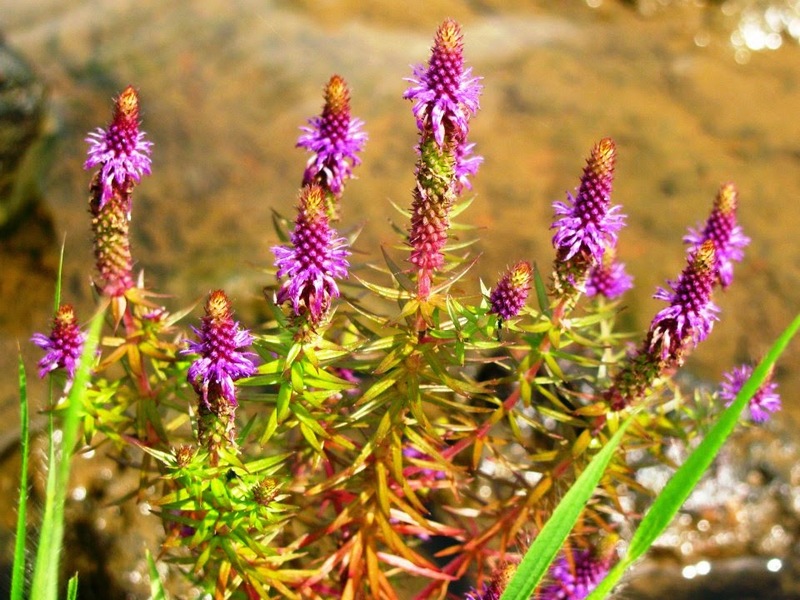 It is best to call the officials a week before you plan to visit to check whether the plateau is in all it’s splendour. Carry a packed lunch and spread out your picnic mat on the hill that overlooks the Kanher lake. Carry an umbrella or better still, a poncho. It can rain at anytime on the plateau. It may not be torrential, but a drizzle is very common during the season. There are no shaded areas, so be prepared. Wear rain shoes that you can walk in. Rain or no rain, the area is always wet and muddy in the monsoons. There are no toilets or washrooms at the table top – keep that in mind. Exploring the plateau requires walking for about 4-5 km – be ready for some exercise. Chai pe Charcha: History with a Cuppa! Where should you go in November? Those pictures are so wonderful!